A dual/collaborative exhibition, whose title references the famous, almost prophetic book by H.G. Wells, “The Shape of Things to Come” of 1933, that speculates on future events from 1933 until 2106 and the establishment of a global state. 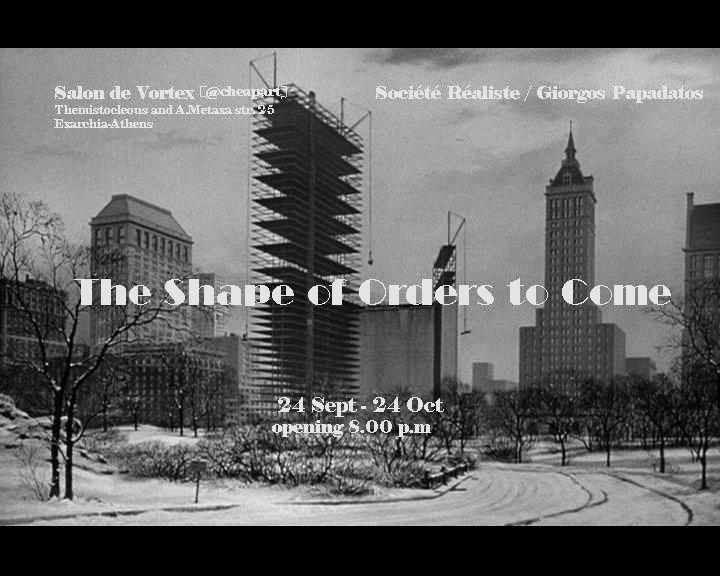 The paraphrase in “The Shape of Orders to Come” involves the dual interpretation of «orders» as a new political and economic world order and as commands, orders imposed by this new condition. In a similar double reading, the interventions and works in the exhibition are developed. The institutional iconography of this new class , on one hand, and the confutation of the officially propagated-imposed discourse, on the other.